Chroma 16,777,126 is a website making a systematic journey through the whole colour spectrum of the RGB wheel in 24-bit depth: 16,777,126 colours. This digital colour configuration is widely used as standard in the web, offline software and screen displays. The website displays each single colour for 5 milliseconds, thus taking almost 24 hours to map the whole chromatic range. 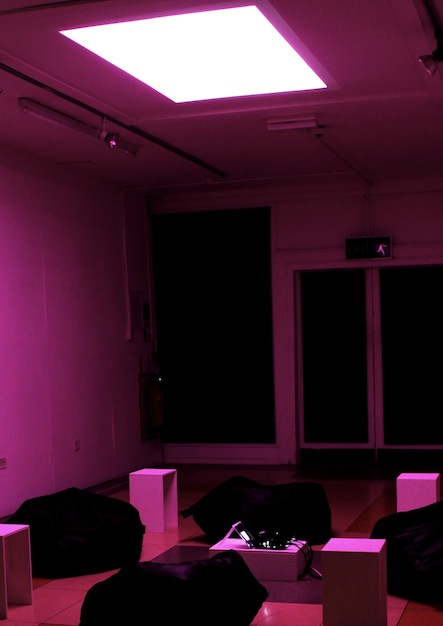 As an installation in the gallery space, the works plays with the physical presence of the Internet inside the gallery. The work continues to evolve in each and incarnation, either by having its code updated, or by adopting different configurations according to the environment where it is shown. 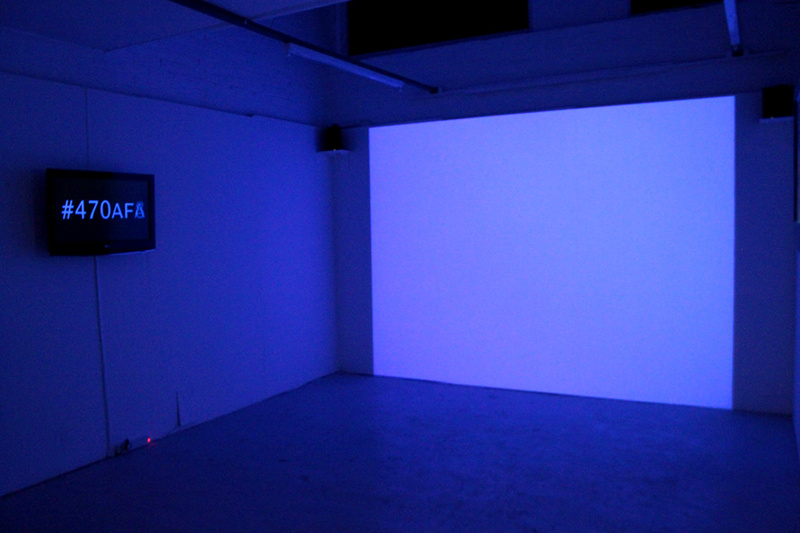 An early version of the piece was included in the Cut and Paste exhibition in 2013, at Cooper Gallery Project Space, Dundee, where the colours where projected to the gallery ceiling. 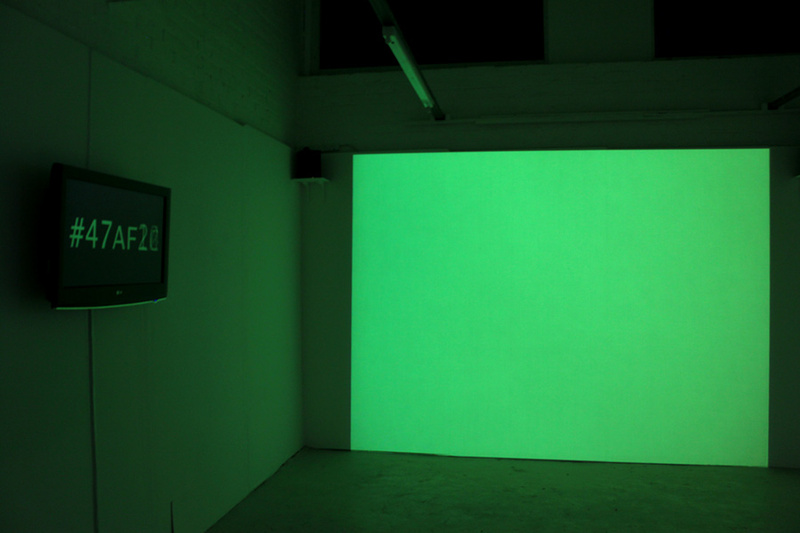 For later exhibitions, the work was composed of a screen monitor and wall projection. The synchronised monitor shows the hexadecimal name value of the colour currently being projected.